We do recommend this one week tour for those who loves Opera and dreams to visit Mozart and Strauss Concert in Vienna. 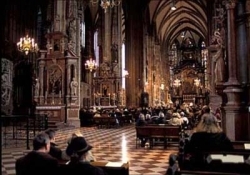 During this tour you enjoy Prague and Vienna Highlights, you will visit Opera or Ballet performance in Prague and Classical Concert in Vienna. 1st day: Arrival to Prague. Czech Folk show dinner .Meeting at the airport and the transfer to the hotel. Check-in. Czech Folk dinner. 2nd day: Breakfats. Golden Prague sightseeing city tour.After breakfast, our bus will pick you up at the hotel for an excursion. Our excursion will start in Royal Palace, St. Vitus Cathedral, St. George Monastery and Golden Lane. A pleasant stroll through romantic Nerudova Lane will lead you to Lesser Town with its famous and marvelous palaces and medieval Charles Bridge (Karluv Most). Then, all together, we come in Old Town Square surrounded by Old Town Hall with its famous Astronomical Clock, Tyn and St. Nicholas Churches. 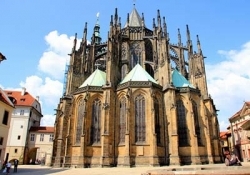 From Old Town Square, we continue our tour to Wenceslas Square with St. Wenceslas statue. We finish our tour on National Museum, in the heart of Prague. Overnight in Prague. 3rd day : Breakfast. Opera/Ballet performance.In the evening, we invites you to Opear/Ballet performance. Overnight in Prague. 4th day: Breakfast. Routing Prague - Vienna by train. Folk show dinner.We take you to a wonderful voyage from Prague to Vienna by train. In the evening, we invite you to the folklore dinner. Overnight in Vienna. 5th day: Breakfast. Charming Vienna Grand City Tour.After youkfast, we pick you up and drive you around Vienna’s Ringstrasse, a leafy boulevard around the heart of the city and the location of many impressive buildings, for example the State Opera House, the Hofburg (Imperial Palace), the Museums of Fine Arts and Natural History, the Parliament, the Burgtheater, the City Hall and the University. The tour then continues to Schonbrunn Palace, the magnificent summer residence of the Hapsburg family lived e.g. Maria Teresia, where the highlight is a guided tour through the imperial apartments. A stop is also made at Belvedere Palace, the former summer residence of Prince Eugen, where the gardens offer a splendid view over the Vienna skyline. Overnight in Vienna. 6th day: Breakfast. 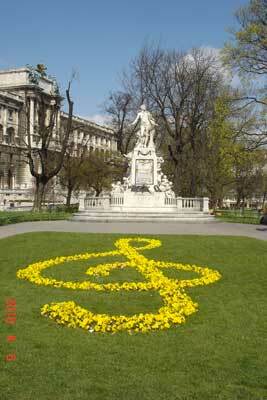 Vienna Strauss&Mozart Concert. Overnight in Vienna. 7th day: Breakfast. Departure from Vienna. After the breakfast we take you to the airport. Be aware that you have to be there 3 hours befor your flight time.